There can be no doubt that cloud computing solutions hold tremendous potential for organizations throughout the federal government. Numerous agencies and departments have already seen huge benefits from their cloud integration efforts, and many more are moving in this direction. Notably, the Federal Aviation Administration recently secured a major 10-year, $100 million cloud contract, and other agencies – including the CIA – have already seen significant, positive results from their earlier embrace of this technology. In light of this, the obvious conclusion is that cloud integration can benefit the government as a whole. However, many agencies have yet to take firm action in this area. Department leaders need to recognize the inevitability of cloud migration and integration efforts and take steps to embrace the cloud sooner rather than later, while also ensuring they develop carefully considered strategies for achieving cloud integration with minimal complications. Echoing these notions, Representative Will Hurd, R-Texas and chairman of the Oversight and Government Reform Committee's IT subcommittee, tackled a number of questions on the topic toward Amazon Web Services Chief Architect Mark Ryland during a recent hearing, Nextgov reported. Speaking about the CIA's embrace of cloud computing, Hurd said, "Intelligence agencies traditionally have the highest concern when it comes to security. If intelligence agencies can do this, why can other elements of federal agencies not?" 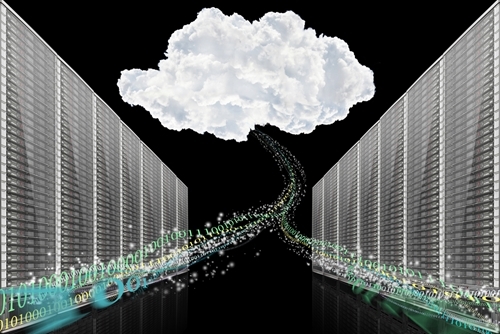 "Cost and security concerns are the biggest obstacles to federal cloud adoption efforts." In his response, Ryland pointed out that the biggest obstacles to federal cloud adoption efforts are cost concerns and fears regarding the security of these environments. However, he emphasized these worries are often misguided. "Things like advanced persistent threats don't exist in environments that are constantly updated," Ryland said, according to the news source. "I think [the intelligence community] had a great vision to take advantage of that and the cost savings and agility that goes with it." Ryland went on to argue that these same benefits would be equally applicable to civilian agencies throughout the federal government. Yet as Hurd noted, the federal government is, by many metrics, falling behind the private sector when it comes to cloud integration. In particular, he pointed out that while the federal government devotes $80 billion annually to its IT budget, four-fifths of this total is spent on legacy technology. Not only does this result in suboptimal performance, but it also makes sensitive information potentially vulnerable to cyberattacks. Additionally, the disproportionate spending on legacy IT makes it difficult for agencies to devote the capital needed to upgrade to cloud-based systems. Part of the problem with federal cloud adoption efforts is a lack of expertise and experience among agencies' IT teams. While cloud solutions tend to be easier to use once they are in place, actually deploying and maintaining a cloud strategy is a more complex task. This further discourages agency decision-makers from pursuing cloud technology. Addressing this issue, several other cloud industry representatives meeting with the House committee emphasized that they were eager to work closely with federal IT personnel to achieve cloud integration. As FedScoop contributor Greg Otto reported, these industry leaders emphasized that in many cases they have found themselves dealing with government technology executives who expressed significant reluctance at the notion of entrusting their mission-critical IT into cloud environments. Mark Kneidinger, director of Federal Network Resilience for the Department of Homeland Security, described the reasons behind federal decision-makers' attitudes in this area. "[The concern] is driven by the ability to have a degree of awareness as to the level of security that's provided at the cloud level, and the visibility the agency has to make sure they are meeting their responsibility for securing their assets," said Kneidinger, according to Otto. "IT decision-makers in the federal government need to reconsider their reluctance." Obviously, this suggests that IT decision-makers in the federal government need to reconsider their reluctance in regard to cloud adoption, to determine whether such concerns are actually warranted or are the result of misconceptions. However, some of the responsibility here also falls on the cloud vendors themselves. Many of these service providers come up short when it comes to providing visibility into their operations, which makes potential clients – including federal agencies – less willing to entrust sensitive data and operations to their care. In order to navigate this complex realm, federal agencies would benefit from the guidance and support of a proven third-party cloud integration specialist. Such a firm can deliver the expertise needed for agencies to finally take the leap and fully embrace the benefits the cloud has to offer.